Is Extreme Couponing Really Worth The Time? If I were to tell you that you could save 90 percent or more on your grocery bill, you would probably be pretty interested in finding out how. When the recession hit, families were forced to find new ways to save money. Food prices were going up, so using coupons became an attractive option. They allowed families to buy more for less. Simply put, not even close. Now don’t get me wrong, I will use coupons whenever possible, but you’re not going to find my shopping cart full of 75 boxes of cereal just because I can buy them for $0.25 each. Instead, you might see me with five boxes because I can print those coupons out in 30 seconds and I don’t have to go dumpster diving for them. I know from personal experience that couponing takes a lot of time out of the day. Extreme couponers will strategically plan out all of their shopping trips. If they plan on purchasing 40 rolls of paper towels they need to make sure they have 40 coupons to go along with them. I don’t know about you, but I can be a little OCD about certain things. Cutting on the lines just happens to be one of those things. That being said it takes me awhile to cut out a few coupons from each Sunday’s newspaper. For extreme couponers, they are cutting out hundreds if not thousands of coupons each week. If you have ever watched Extreme Couponing on TLC then you might have noticed that most of the people they feature don’t just leave with one cart of groceries, they leave with three, four or ten carts full. Some of them spend hours in the grocery store each time they shop. Thanks, but no thanks. Let’s face it, unless you are a family of ten, there is probably no need to be stocking up on 80 packages of Jell-O pudding. Yes, people do that. By the time the expiration date rolls around there is a good chance that half of them will still be unopened sitting on your shelves. Yes, you might have bought them for 90 percent off, but if you let them expire then what have you accomplished other than wasting money? In a recently interview with NPR, a reformed extreme couponer, Christy Rakoczy, talks about how she used to purchase diabetes monitors from drugs stores because they were free. The real kicker here is that she doesn’t even have diabetes. Christy also talks about how she once had a stockpile of 100 bottles of Robitussin cough syrup. She couldn’t even find friends that wanted to take them. So what did she do? She tossed them out. Extreme couponing could easily be classified as an addiction. I will admit I have nearly been there myself, but on a much smaller level. When I would be looking at sales that were going on for a particular week, I would get excited if I saw a way to get toothpaste for $0.50 or even free. I would make sure to run out to the store and pick up five tubes. I don’t have an addictive personality, so it was easy for me to stop at five because I knew that my family would use it. We do brush our teeth after all. But, some people get hooked and the thought of being able to get something at a deep discount makes their blood boil with excitement. That is the sign of addiction. Non-extreme couponing is a great way to save money. It just has to be done the right way. Take some coupons with you when you buy items that you will actually use. If you are shopping at a retail store, make sure you always check and see if there is an available coupon. My wife loves buying hand soap from Bath and Body Works, but I won’t let her leave the house until she looks to see if there is a coupon from Bath and Body Works that she can use. While couponing in general is not a waste of time, extreme couponing certainly is. Instead of spending 8 hours in a day trying to save money, wouldn’t it just make more sense to get a part time job where you can actually make money? Sean Bryant is the personal finance blogger behind One Smart Dollar where he helps his readers increase their net worth one dollar at a time. I totally agree with you on this one. I think that couponing can be a worthwhile endeavour and it can also pay very handsomely if done right, but you have to keep it in check. I think the best thing to do is learn from others how it’s done, then look from a very high level perspective as it applies to your life and figure out how to get the maximum return for the least amount of effort on items that you will actually use. 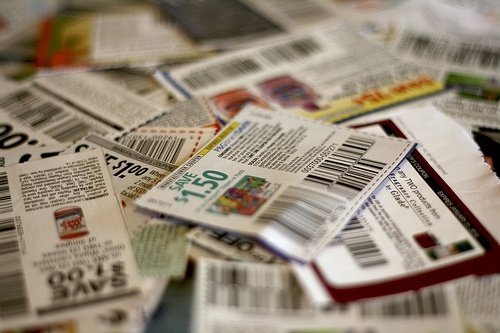 Focus on finding coupons for items you buy a lot of and use anyway, consider buying pre-clipped coupons for those same items to save time, don’t bother with low value coupons, come up with a system or coupon binder so things are easy to find and high value coupons don’t get wasted because they expired. There are lots of things you can do to make the process more efficient which should be your first priority even before thinking about how much money you can save. If we all had infinite time, we could all save a huge amount of money by doing everything ourselves, right? I think sometimes it can be worthwhile. I used to be able to get all of our toilet paper, shampoo, soap and toothpaste for absolutely free! I’ve never understood extreme couponing, but I think people who do it get a sort of satisfaction or thrill from getting their groceries at deep discounts. But I doubt they ever sat down and figured out how much they were saving based on the number of hours they spent preparing for each shopping trip. I could not agree more Sean. If we get the Sunday paper we’ll clip the coupons on things we’d already be buying anyway. Otherwise, it’s just a waste of our time and possibly money.